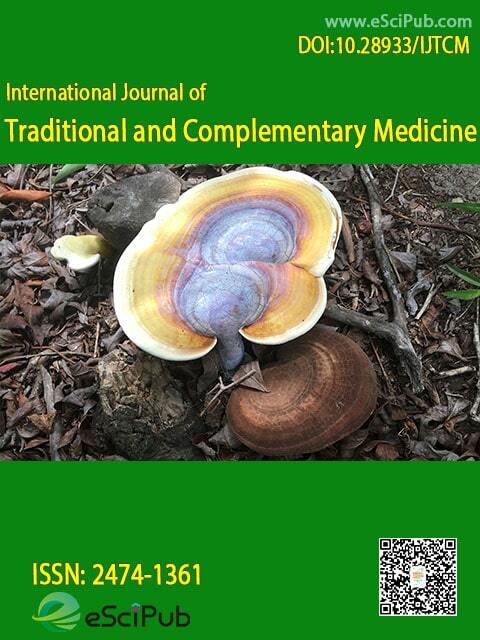 International Journal of Traditional and Complementary Medicine (ISSN:2474-1361; DOI: 10.28933/ijtcm) is a journal publishing articles in Traditional and Complementary Medicine. Eve and Evil. Hypnoanalysis of Demonic Possession. A Case-Study. Dr. Papiya Bigoniya Professor, Radharaman College of pharmacy, Radharaman Group of Institutes, India. Associate Vice-President, Chair Professor of School of Chinese Medicine, Director of Clinical Division and Associate Director of Institute of Creativity, Hong Kong Baptist University. Professor of Cardiology and Neurology (Stroke Center), College of Korean Medicine, Director of Korean Medical Emergency Room, Hospital of Korean Medicine, Kyung-Hee University. Professor, Physical Chemistry (Retd.) of University of Madras, Chennai, India. Deputy Program Coordinator for Master of Laboratory Medicine, School of Health & Biomedical Sciences and Health Innovations Research Institute (HIRi), RMIT University, Australia. Professor of Microbiology, Officer In-Charge (Head) & Teacher In-Charge (Administrations), Microbiology Section, Institute of Ophthalmology, Faculty of Medicine , Aligarh Muslim University, India. Professor, Guangzhou University of Chinese Medicine, Zhongshan,Guangdong, China. Associate Professor, Institute of Chinese Medical Sciences (ICMS), University of Macau. Former Head, Deptt. of Zoology, University of Kalyani, Presently an Emeritus Professor, University Grants Commission, Govt. of India, at University of Kalyani. Professor, Cancer Research Center; Laboratory Animal Center; The Key Laboratory of Brain and Spinal Injury of Liaoning Province, Laboratory Animal Center, The First Affiliated Hospital of Liaoning Medical University, Jinzhou, China. ESC Training Fellow in Electrophysiology, Clinic of Cardiology, University Hospital Zurich, Zurich, Switzerland. Professor, Health Life Science, Shitennoji University, Habikino, Osaka 583-8501, Japan. Chairperson, Traditional Complementary and Alternative Medicine of the Observatory and Methods for Health, University of Milano-Bicocca, Milano, Italy. Professor & Associate Director (Education), School of Chinese Medicine, Li Ka Shing Faculty of Medicine, The University of Hong Kong, Hong Kong. Professor & Principal Scientist, R & D Division, VPS Healthcare, Abu Dhabi, United Arab Emirates (UAE). Full Professor, Faculdade de Ciências da Universidade do Porto Rua do Campo Alegre, S/N Edifício FC4.Portugal. Senior Research Fellow, National Institute of Complementary Medicine, Western Sydney University, Australia. Assistant Professor, Institute of Chinese Medical Science, The University of Macau. Senior Lecturer, School of Science (SSCI), Discipline of Chemistry, RMIT University (City Campus), Victoria, Australia. Queen Elizabeth Hospital, Hong Kong. Assistant Professor, State Key Laboratory of Quality Research in Chinese Medicine, Macau University of Science and Technology, Taipa, Macau. Associate Professor, School of Chinese Medicine, Hong Kong Baptist University, Hong Kong. Senior Lecturer in Biotechnology, Health Innovations Research Institute, School of Science, RMIT University, Victoria, Australia. Assistant Professor, Dept. of Shalya Tantra, IPGT&RA,Gujarat Ayurveda University, Jamnagar, Gujarat, India. Complex Health Management, 85 Jubilee Av. Forest Lake. Q 4078. Australia. You can submit your manuscript by the form below or send it to IJTCM@escipub.com as an email attachment. International Journal of Traditional and Complementary Medicine is a peer reviewed open access journal publishing research manuscripts, review articles, case reports, editorials, letters to the editor in Traditional and Complementary Medicine (indexing details). Please feel free to contact our rapid response team if you have any questions. We will answer you shortly. International Journal of Traditional and Complementary Medicine is a peer reviewed open access journal publishing research manuscripts, review articles, case reports, editorials, letters to the editor in the area of Traditional and Complementary Medicine.